Every January I recommend having a skin detox. By that, I mean using new and intensive, dedicated skincare for a month to cleanse of impurities etc. This gives the skin a month to declog and freshen up for the year ahead. Plus seeing as most of us are recovering from the cost of Christmas, we tend to spend a lot of time at home, so it’s a no brainer that January is a perfect time to detox the skin. This year some fab products to try for your skin detox would be those from Comfort Zone. You may remember that I featured their gorgeous Christmas sets on the blog last year, and as they are a spa brand, you can be assured the quality is exceptional. Not only that but you know everything is well formulated, relaxing and hard working, because spa brands have to be. So it’s a great idea to give you skin a hit of skin treatment from home. This is a naturally derived oil that works as a pro-elasticity oil It’s designed to be used on stretch marks and areas of skin that lack tone (for me it’s my thighs) and it will leave skin looking more supple. It’s got an intensive blend of ingredients so smells as strong as an aromatherapy oil and with over 90% of a testing panel saying they saw skin appear more compact and supple after a month, well, any girl with thigh dimples and stretchmarks should give this Strategist Oil a go. Everyone knows that one of the keys to getting rid of cellulite is to rub a targeted exfoliator in circular motions on the affected area. This is supposed to effectively loosen the ‘lumps’. This Body Strategist Scrub is designed to be used for exactly this. It’s very intensive, so not for the faint hearted and you will need to apply some pressure when doing the circular motion massage (with or without this) but if you use this regularly, especially near summer, you should be able to see a difference by bikini time. Together with a dedicated massaging motion, this works to rejuvenate the cells and soften their appearance. I’ll be relying on this come the summer! A great all over body cream, this works to visibly fight the signs of skin aging. It’s highly scented with it’s ingredients and can be used anywhere on the body thanks to it’s strong firming action. Personally I’ll be using the Oil and Scrub on my thighs as that’s where I have cellulite (yuk) and the D-Age Cream all over for a thorough and complete skin pick-me-up. This Cleanser is for ultra sensitive skin types, so for those who have dry or dehydrated skin, as well as those who live in harsh climates. This Cream to Oil formula transforms after it’s applied to nourish and hydrate skin. So it goes on rich and creamy and transfers to an oil for nourishment – the perfect cleanser for those with dry and sensitive skin. Because it transforms to an oil, skin feels soft after use, and smooth to touch. 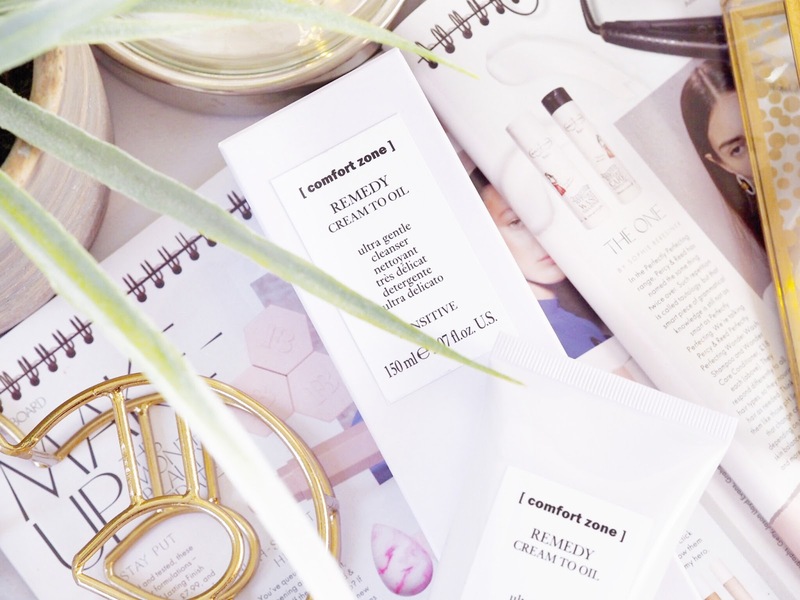 Remedy Cream to Oil Cleanser is perfect for winter skin pick-me-ups. Now this is a heavy duty cleanser. Typically recommended for men because they have a slightly thicker skin, and for those in hot climates. But basically if you suffer with impurities then this is your cleanser. It’s a purifying gel that has exfoliating properties within that works to deeply cleanse the top layer of the skin and leave pores clean and refreshed. I think the Active Pureness Gel will be great for me as I’m currently experiencing major breakouts! 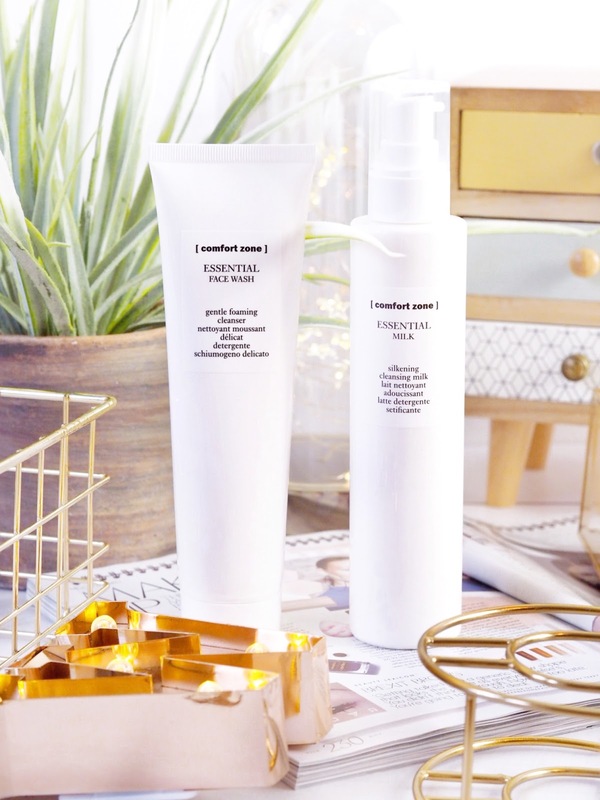 The Essential Face Wash is a lovely and everyday foaming cleanser that’s gentle on the skin. It removes make-up as well as impurities from the skin and helps to encourage radiance to return to the top layer. 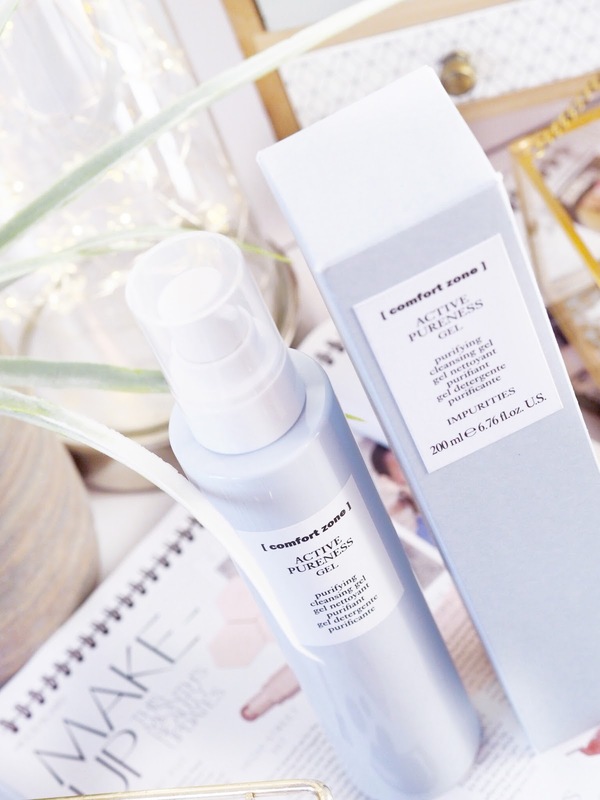 Then there is also the Essential Milk version which is a silkening cleansing milk, so not foaming and more concentrated. It does all the same things as the Face Wash while also restroing the skins natural balance. These cleansers are best for younger skin types, for those with normal to combination skin and are best used as your twice daily cleanser. 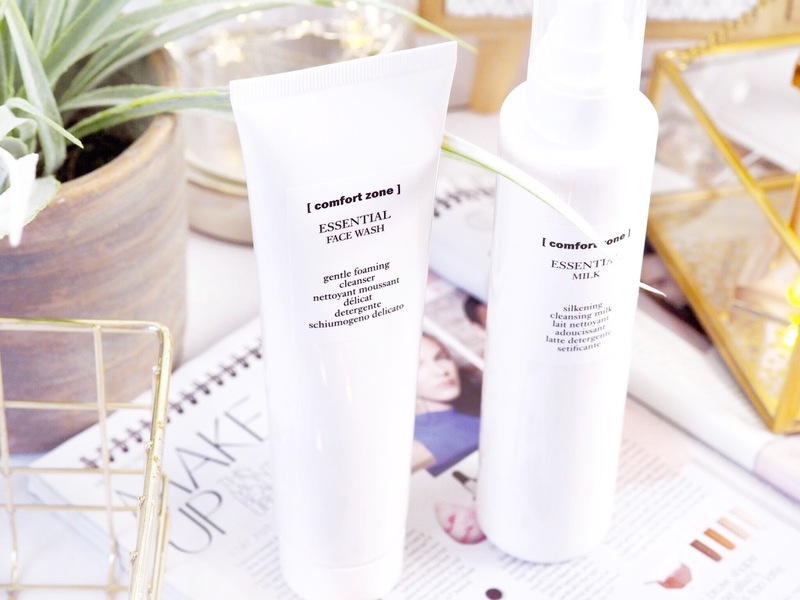 For clean, clear and fresh looking skin then one of these would be the best cleanser to try! 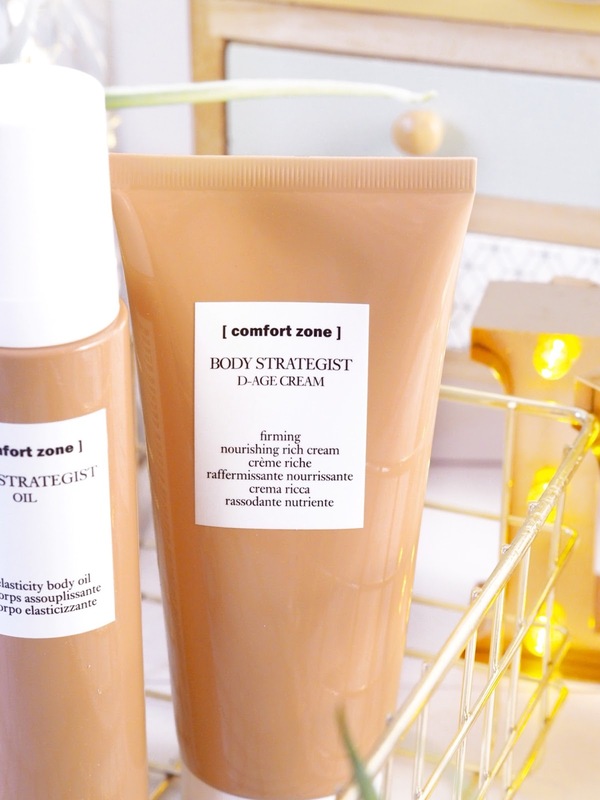 So for a fresh skin detox this January, there’s a lot of skincare goodies from Comfort Zone that you’ll want to get your hands on. I’m excited to report back to you all and let you know how I’m getting on with these, but until then – which would be your skin detox picks? Previous Post My Huge Colourpop Haul!